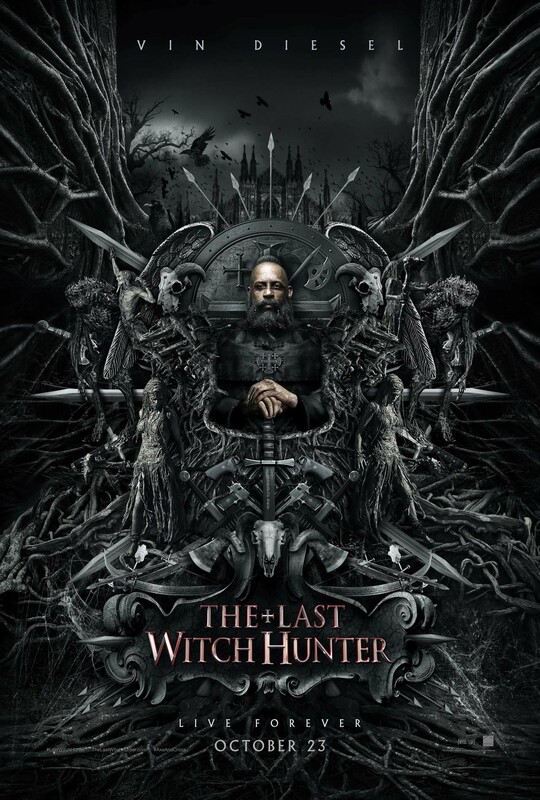 The Last Witch Hunter is an intriguing entry into the world of cinematic fantasy genre. 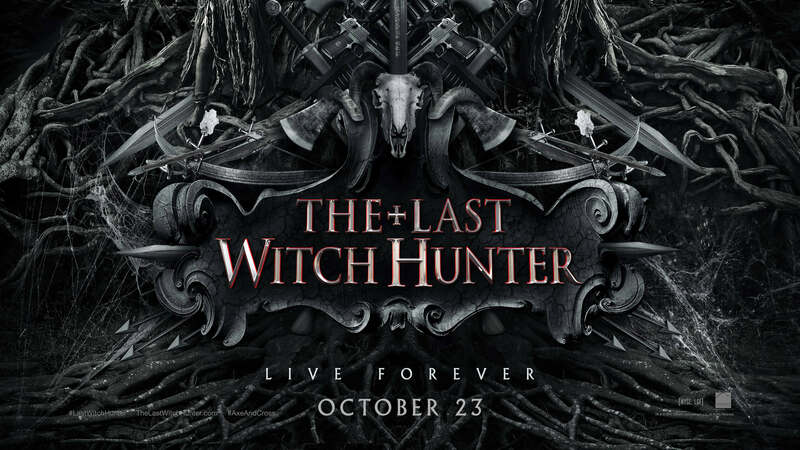 While it doesn’t particularly revolutionize the way we see witches and warlocks nor does it herald “the next great franchise” of feature films, it is a solid tale packed with great special effects, excellent pacing, a presentation designed for an intellectual audience (relatively speaking, of course), and charming characters that are fairly believable in terms of their place in this witchy world. 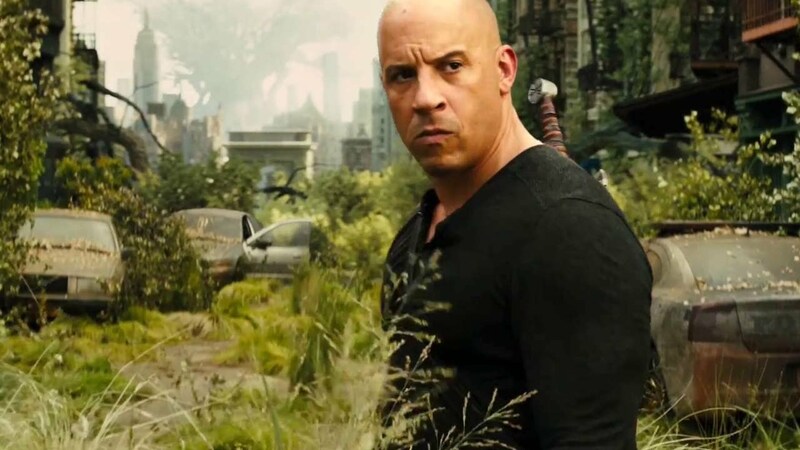 The story follows the lead character of Kaulder, portrayed by Vin Diesel, one of the members of a witch-hunting party in the era of the Vikings. Through passive information in the storytelling, it’s made clear that Kaulder and his crew don’t have much to live for anymore; their village has been put under siege by the Witch Queen (played with creepy aplomb by Julie Engelbrecht), and her curses and plagues have killed their wives, children, and other loved ones. Kaulder fights his way through the Queen’s liar to confront her directly; as he defeats her, she curses him with immortality, knowing that he wishes to die in order to be reunited with his wife and daughter in the afterlife. Fast-forward several hundred years to modern times, and Kaulder is still hunting witches, under the employ of a “shadow” religious group known as The Cross and Axe. Known by those “in the know” as The Weapon, he helps the Templar-types maintain an uneasy truce with the witches of the world, who have agreed to live in relative obscurity in exchange for the ability to live peacefully. Kaulder acts as something of the “Witch Police,” until he discovers that evil plans are afoot to resurrect the Witch Queen and bring a second era of darkness to humanity. It’s up to you-know-who to take care of business. The best thing the film has going for it may very well be the fact that it doesn’t feel the need to pander or “talk down to” its audience when it comes to explaining or portraying aspects of its world. In reference to the “intellectual audience” comment I made earlier, what I meant is that you won’t find any condescending narration or any characters that go out of their way (and out of their character) to explain what’s going on to the audience; director Breck Eisner does an excellent job of welcoming you into the existence of this universe without beating you over the head with extraneous details. What we are given is fairly believable, in context, and that’s not something that lots of fantasy-adventure type movies can give to their audience. The cast is above average, and for the most part are folks that you’ll enjoy watching in their roles. Diesel, of course, carries the movie pretty darn well, proving easily to audiences that there is definitely more to him than just the “stereotypical tough guy” façade. For a guy who killed it saying only a handful of words as a CGI tree-man in Marvel’s Guardians of the Galaxy, he goes the opposite end of the spectrum in The Last Witch Hunter and gets the chance to flex his acting muscle just as much as his action muscle, and he succeeds to great extent. Michael Caine is always a joy to watch on screen, and his portrayal of Ellic, a “Dolan” who serves as Kaulder’s de facto sidekick and chronicler, gives him a little less to work with than I’d hoped, but he certainly makes the best of what he’s given. Elijah Wood gets to portray his successor, Dolan the 37th; he’s fine enough in the role he’s given, but it’s hard for me to see him as little more than Hobbit stunt-casting here. Game of Thrones fans will enjoy seeing a surprisingly deep turn from Rose Leslie as the film’s “leading lady,” even if you do mentally halfway expect her to say “you know nothing” to Kaulder at pretty much every turn. Again, the main strength of The Last Witch Hunter lies in the film’s ability to welcome you into the story it is creating and giving you enough credit to assume you can keep up. In this regard, it’s a winner in my book, even if the third act does rush through some of its biggest action sequences and essentially give up trying to justify things too deeply. It joins the oddly-thin ranks of notable witch-centric films, so move over, The Craft and The Blair Witch Project, you’ve got company. Hocus Pocus, you’re fine right where you are near the back.